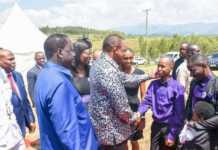 Opposition leader Raila Odinga has broken his silence over the state of his health after a slip on a podium in a Dar es Salaam stadium ignited debate on social media about his health. Speculation emerged Sunday that the former Prime Minister may have suddenly fallen ill after a video went viral where he appeared to lose his balance before he was held by his security detail. But in a tweet hours after the incident, Raila said he was well. “Dear Kenyans and friends from around the globe, I am well and in Good health. 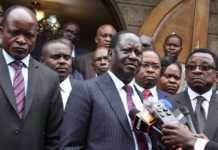 Thank you for your concern,” Raila said. The Opposition chief was the chief guest during the SportPesa Cup final between Bandari FC and Kariobangi Sharks at the National Stadium in Dar es Salaam. Earlier, his spokesman Dennis Onyango said the near stumble was caused by a podium that collapsed. “Hon Raila Odinga is fine in Dar. 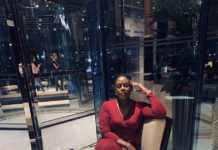 Images of security people holding him emerged from a step on the podium that was falling off and not anything to do with health,” Onyango said. 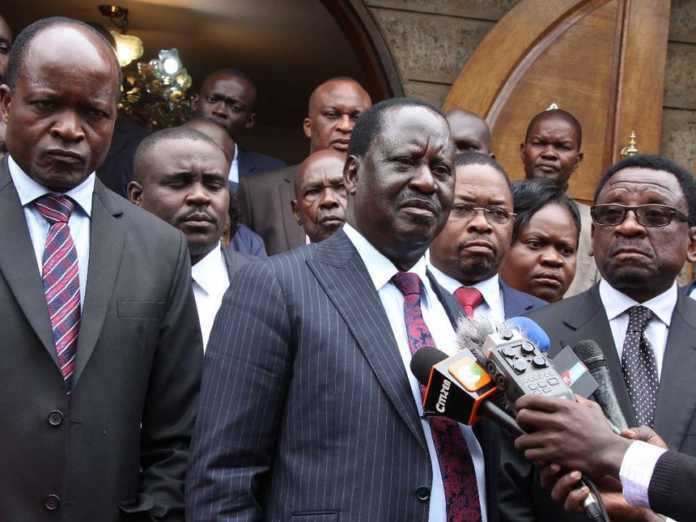 Raila’s tweet elicited numerous comments within seconds of it going up. Majority expressed relief that he was well and in good health. 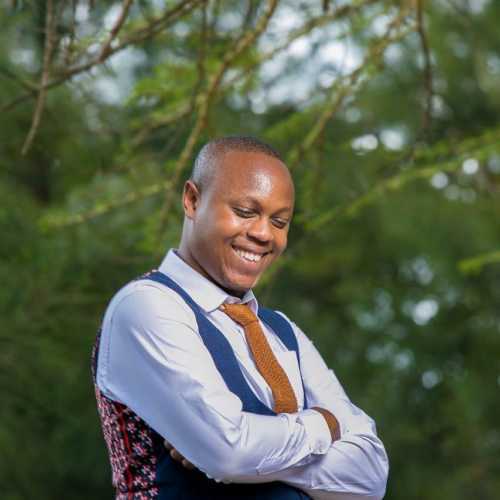 “I’m now happy baba …I was not myself the whole day,” said @KokonyaPeter. @ItsOnyango said, “Go slow. Don’t let them over work you unnecessarily. ”God grant you good health you have done a lot for our democracy,” said‏ @Tumokipruto.